Last week the major averages got hit with some rather severe selling in the later half of the past week as treasury yields jumped and worries about rising interest rates took their toll on the latest rally-run. I ran my routine stock screens over the weekend, yet did not add any new stocks to our watch list. 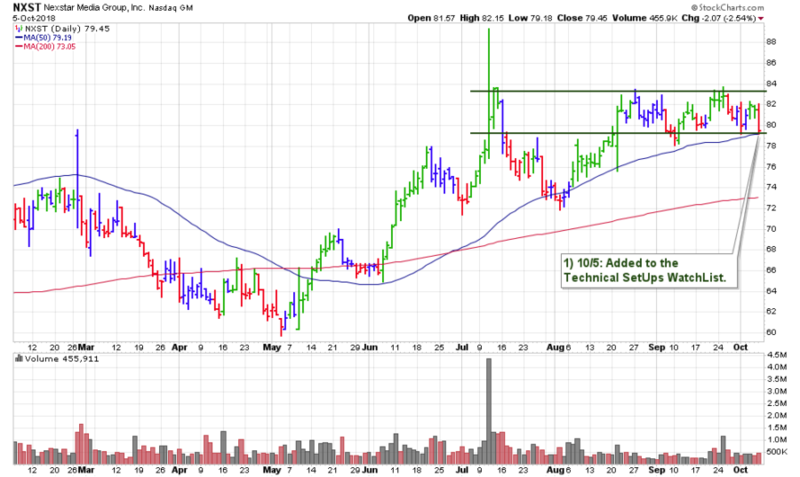 We still have 14 stocks which we will be watching for the next buyable breakout – see here. One stock in particular is NXST which was just added on Friday morning. This media-radio/TV leader continues to maintain its 50 DMA while carving out its base. 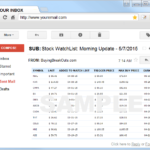 Access all watch lists with updated trading criteria including – TRIGGER PRICE, TRIGGER VOLUME, and MAX BUY PRICE for every stock here.